Nowadays, we seem to be inflicted with some sort of disease, an infection, a plague, which most of us feel strangely comfortable in. It’s the frozen yogurt addiction!! Even I got myself caught in the strings of devilicious yogurt traps! The frozen yogurt with assorted toppings were introduced convincingly by Sour Sally quite recently. Overwhelmingly successful, Sour Sally creates many rivals in this business. Notably, J.Co with its J.Cool yogurt for instance and other minor rivals. But this one, Frozzio, was quite different. Instead of using a frozen yogurt machine, Frozzio serves their yogurt in ice cream containers. They serve 2 kinds of yogurt, Original and Signature. The difference was that the Signature yogurt was a bit sweeter than its counterpart and more expensive too, but both provide great, thick yogurt taste. Equip it with your favorite toppings and there you go, much better frozen yogurt than even Sour Sally’s. 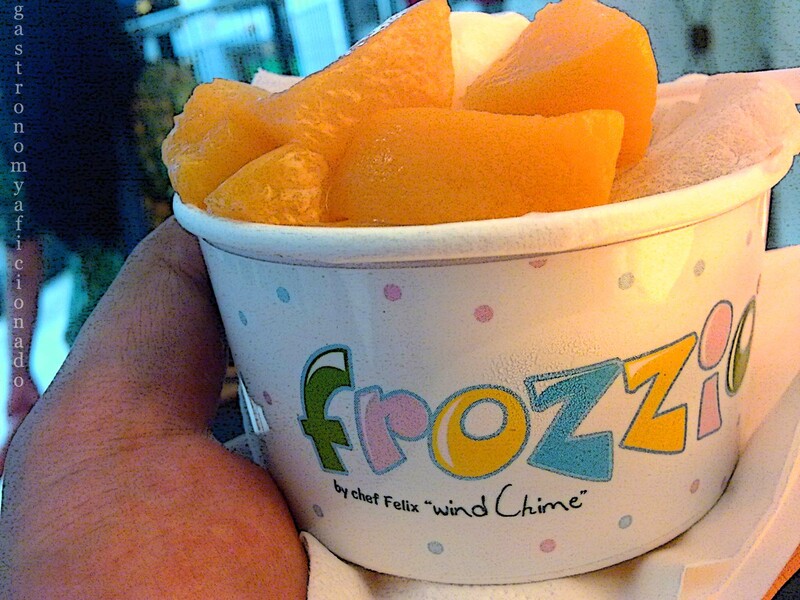 Frozzio itself was created just recently by Chef Felix, the owner of the prominent Wind Chime bistro in Bandung. A very idealistic person I’d must say, but everything he came out with was just great! I’ll tell you about his bistro next time. The small size cup contains 5 small scoops of yogurt, if added with 2 toppings then the Original yogurt then it will cost you IDR 22,000 while the Signature yogurt will cost you IDR 28,000. Try it out at Istana Plaza Mall, Bandung and I guarantee that thou shalt not be disappointed. Yummy!! !